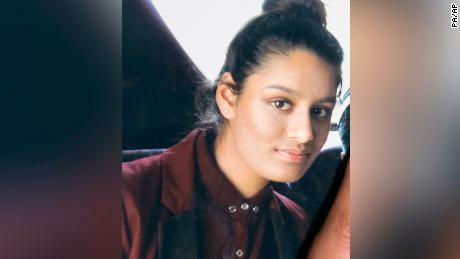 Begum, who left east London to join ISIS in Syria when she was 15, made international headlines last month as she publicly pleaded with the UK government to be allowed to return. She was 19 when she gave birth to her baby, Jarrah, in a Syrian refugee camp in February. After the baby’s health deteriorated on Thursday, medical staff from the Kurdish Red Crescent transferred the mother and baby from al-Hawl camp to the main hospital in al-Hasakah City in northern Syria. The baby died a few hours after arriving at the hospital, the NGO said. There were initially conflicting reports about the baby’s well-being, with Mustafa Bali, the spokesman for the Syrian Democratic Forces, saying on Twitter that reports of the baby’s death were fake. CNN has contacted the UK Foreign and Commonwealth Office for comment, but has not yet received a reply. Speaking from al-Hawl before giving birth, Begum told UK newspaper The Times that she wanted to come home to have her child. 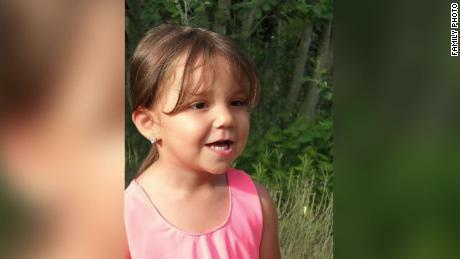 She said she had already had two other children who died in infancy from malnutrition and illness. Days later, she had her baby and, in the weeks since, has been fighting UK government plans to revoke her citizenship to prevent her from returning home. CNN affiliate ITV News reported that Begum’s family had received a letter from the Home Office that said an order to remove her citizenship had been made. The letter asked Begum’s family to make her aware of the decision and of her right to appeal. Begum’s family is of Bangladeshi origin, according to Dal Babu, a former chief superintendent for the Metropolitan Police, who has been in contact with the family. However, the Bangladesh foreign ministry said in a statement that Begum is not a Bangladeshi citizen, nor has she ever visited the country. Javid has previously suggested that children of jihadists who lose their citizenship could still be British. “Children should not suffer, so if a parent does lose their British citizenship, it does not affect the rights of their child,” Javid said. CNN’s Elizabeth Wells in Atlanta contributed to this report.